The Manufacture Worldtimer Maison Birks Edition. When timing is everything, planning ahead is a necessity—especially for world travellers. After winding the dials back an hour for daylight savings time, we’re already looking ahead to a future watch exclusive with a Canadian twist. Maison Birks and Swiss watchmaking house Frédérique Constant have partnered up for a collaborative timepiece, the Manufacture Worldtimer Maison Birks Edition, slated to debut in Canadian Birks boutiques next year. 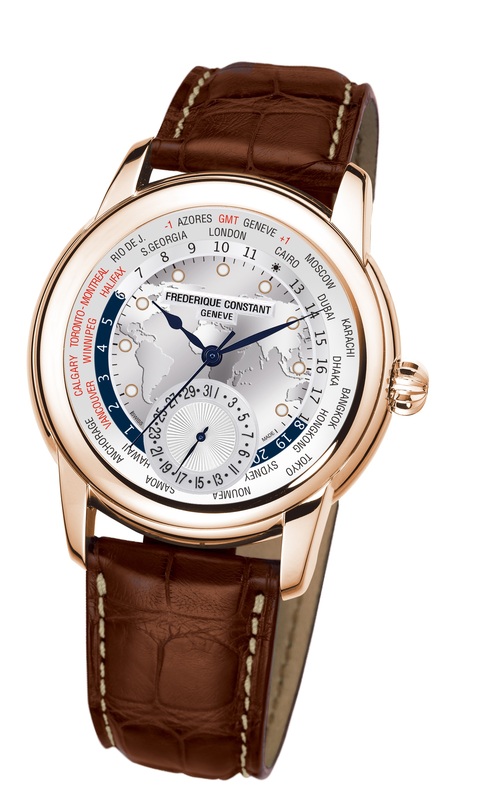 Sparkling with a silver dial and hand-polished blue hands, the special-edition piece contains an inner circular motif denoting 24 cities—allowing the wearer to see the time in every zone at just a glance—as well as radiant red lettering for the cities of Vancouver, Calgary, Winnipeg, Toronto-Montreal, and Halifax.